Whether you're a tourist or have recently moved to Belize, you will be surprised by the great variety of things to do available. While the majority of these activities involve the crystal-clear waters and coral reef, there are also plenty of things to do indoors. In Ambergris Caye, some of the top things to do involve the ocean. Diving, fishing, swimming and sailing are all incredibly popular. This is because all of the beaches are very well-kept, and the water is clear. There are several private beaches to explore. You will also have plenty of opportunity to see unique marine life while playing in the water. The Caribbean Sea is what makes this large island one-of-a-kind! One of the most enjoyable parts of living on the island is the transportation. Golf carts are not only an easy way for tours to get from one stop to another, they are also very enjoyable to drive. Try taking a golf cart to work around the island, so you can see and appreciate some of its natural beauty. You can easily drive it from your resort to various attractions located around the Yucatan Peninsula. Belize is known for its world-class resorts, which love to pamper. No matter what treatments you want to have done, you will be able to find a spa that can provide. Relax with a massage or spend some time socializing in the sauna. 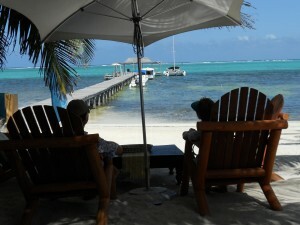 No matter what you choose to explore, expect to have a fun and memorable experience in Ambergris Caye.